This neat little synth had a very low output volume and I feared that the IG00156 VCA chip or the output buffer might be the cause. The Yamaha VCA chips are hard to come by nowadays and when, they are mostly pulled from another device. Luckily the reason for the low output volume proved to be a defective gain potentiometer whose slider seemed to have a few contact problems. 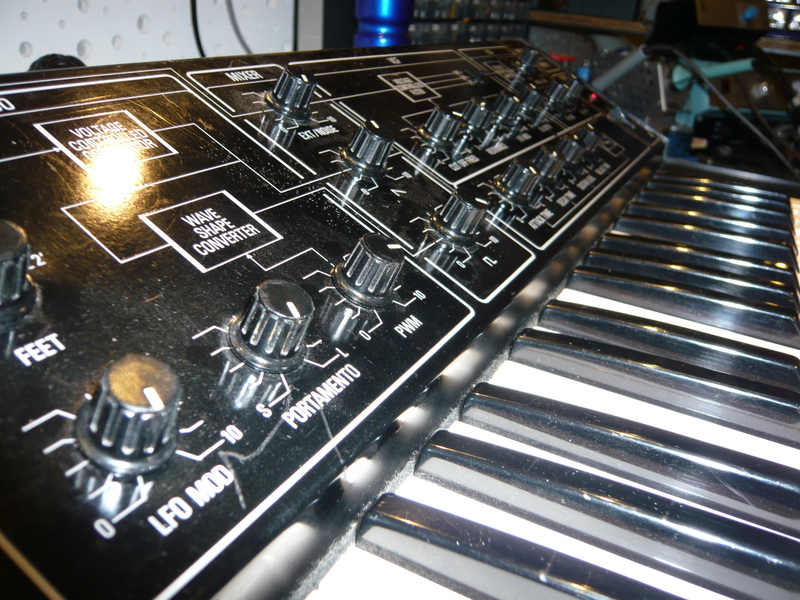 After replacing the pot everything returned back to normal again and the synth sounded loud and clear.